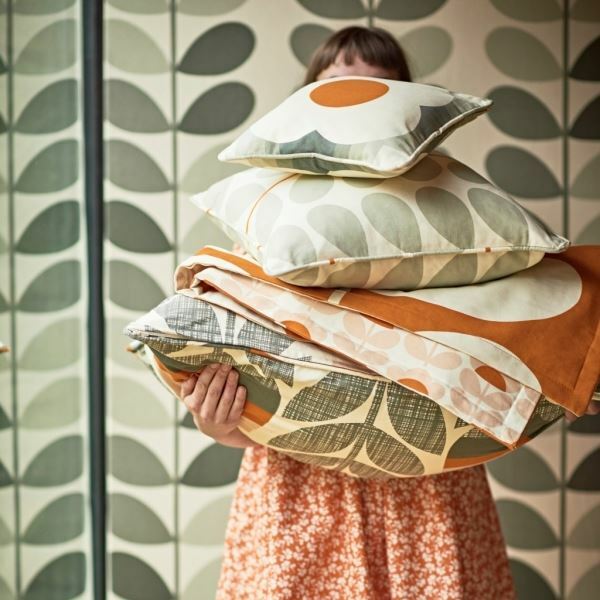 Bring the gorgeous Orla Kiely fabrics to life in your home. Have you a tricky window or a large window that readymades just won't fit? 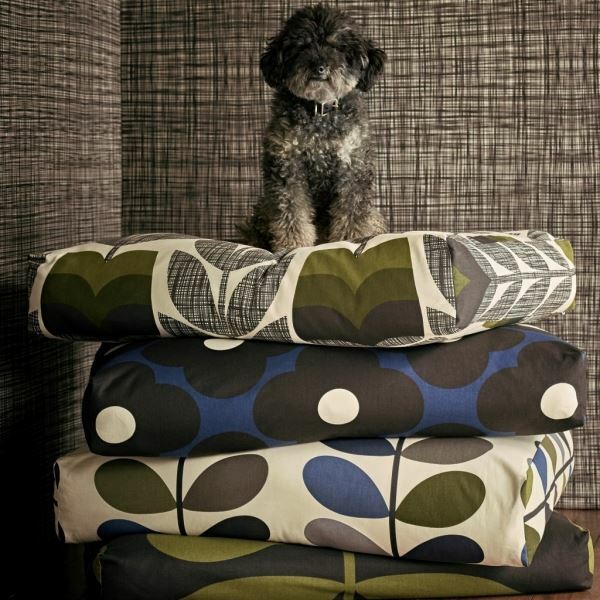 We offer a made to measure service on all Orla Kiely curtains and blinds. Have a Kitchen roller blind laminated in one of your favourite Orla Kiely fabrics or have a beautiful pair of curtains made to suit your window measurements. 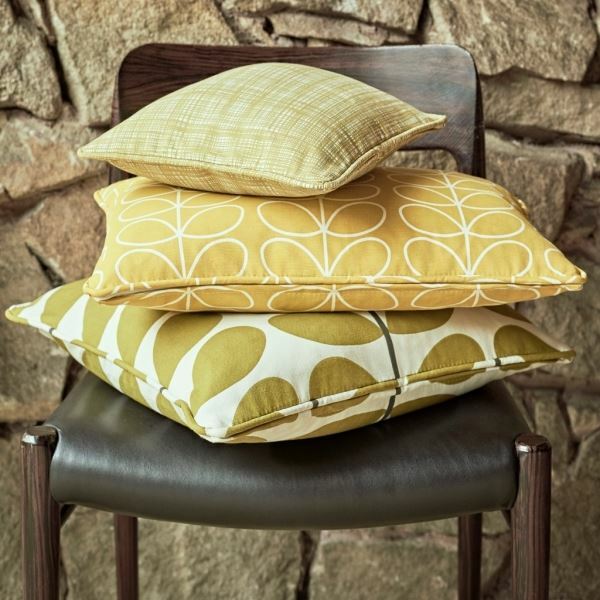 Complete the look with a selection of Orla Kiely scatter cushions and window seat made in Orla Kiely fabrics. Orla Kiely fabric collection featuring the Linear Stem, Abacus Flower, Seventies Oval Flower and the signature Multi Stem print amongst many other iconic patterns. Printed on classic 100% cotton canvas, in her distinctive palette of warm dandelion, Seagrass, orange, olive, cool greys, moss, powder blues and dark marine. Are you considering Orla Kiely wallpaper? We supply the full range of feature wallpapers. Contact us for more details. All our curtains and blinds are made in our own curtain workroom and personally fitted by one of our designers. Personalised service guaranteed. Expert window dressing advice. Colour consultancy. Free Home Consultation service on Orla Kiely curtains and blinds. Our home consultation service for curtains and blinds is offered to Dublin, Meath, Kildare, Cavan areas.